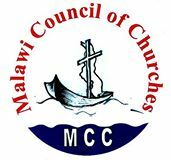 The Malawi Council of Churches is an umbrella organization for the 25 Christian Churches and 20 Para-church organizations in Malawi. The Council was established in 1942 to facilitate human transformation following the image of Christ, promoting holistic development, and fostering unity, peace, justice and love among the human race. The Council serves as the voice of the church on national and international issues. The Council’s mission is to promote, propagate and defend the Kingdom of God through collective action and witnessing for Christ by evangelization, proclamation, mediation, advocacy and social development works for holistic human transformation in Malawi. In this way, the Council demonstrates its role of being the prophetic voice and conscience of the society.